Cleaning up after renovation can be very hard to do, unless you have the right equipment. Once the construction process has ended and you are getting closer to moving in, it can be extremely frustrating to try and cope with the whole mess on your own. Construction waste takes a lot of effort to remove and cleaning up after the process can be a super exhausting task. 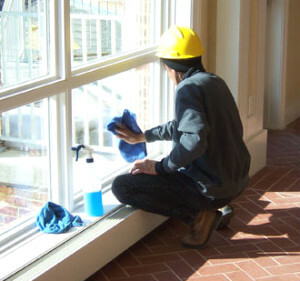 Therefore, for optimal results, it’s best to use professional after construction cleaning services. Hiring an experienced company to take care of the place is the best and easiest option a person can go for. Our company has been providing thousands of customers in London with the most reliable cleaning services in the city. We have many years of experience, which has given us the chance to become the best at the job. Our name is related to professionalism, excellence and devotion. We have always done our best to offer the most adequate cleaning services and thus help our clients to have everything done in the most professional way. We work with a team of well-trained and qualified cleaners, who have all of the needed skills for the job. Our employees are also supplied with the latest equipment, which helps them to achieve even better results. All of our cleaners are experts, who carry out their tasks ideally and complete every task flawlessly and successfully. Perfect results are always guaranteed when using our professional help. Our after construction cleaning services are carried out as a team of our cleaning experts is sent to the appointed place at the expected time. Our employees inspect the are carefully to determine the right approach to cleaning it up in the most effective way. Then they use their professional skills and tools to cope with the work as quickly as possible and achieve brilliant cleanness. They remove all construction debris and sanitise the entire place by using only natural detergents. All of the cleaning products we use are ecologically-friendly and absolutely safe for the health of our clients as well. You can find us any day of the week, including on weekends and bank holidays.